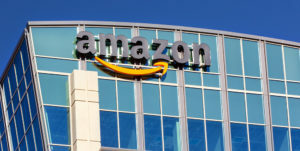 (Camden, NJ) – The Freeholder Board, along with the City of Camden and Coopers Ferry Partnership, submitted a proposal making Camden County and specifically Camden City the best site for Amazon’s second North American headquarters. The Freeholder Board and the Camden County Improvement Authority believe the 197-page document will provide the facts and metrics behind why the city is the most fertile ground for the tech giant to land. Amazon has redefined digital sales throughout the world going from a website that focused on selling books to a global e-commerce leader for the largest variety of products anywhere. The eight million-square-feet of proposed office space that will be Amazon CEO, Jeff Bezos’s, second headquarters will be transformative for any landscape. Also, the thousands of new employees working within those offices will bring local economic benefits to the community. Camden Mayor Dana L. Redd talked about the past and the city’s bright future in which Amazon can become part of. Camden City and the county has seen an unprecedented amount of private investment over the last three years including the $320 million Holtec International Technology campus and several other new corporations encompassing more than $2 billion in total. Construction continues at Knight’s Crossing as car manufacturer, Subaru of America, gets closer to finishing its new national headquarters and training facility and on the waterfront where American Water builds its new campus. In addition, the $8 billion, international food and beverage company, Campbell Soup, has called the city home for more than 140 years.